Citron comments on MOBI call and Piper note — and reiterates Price Target of $3. In its research note this morning, Piper Jaffray raised their target for MOBI from 12 to 15, stating concerns for its fundamentals are “overblown”. Citron calls Piper liars and challenges them on this issue. What is the truthful Company Description? This statement is not true. The company CFO claimed it was based on “independent” research, but on today's conference call, admitted it was a 2009 study commissioned and paid for by the company. If Piper cannot describe the company accurately, they have no business claiming to publish analysis of it, much less raise multiples or targets. As the links on the Citron report (below) demonstrated yesterday, this claim by MOBI is 100% FALSE. Even the company has backed off that language in its company description in today’s PR. Citron challenges MOBI, or Piper for that matter, to show a single credible and independent source verifying that MOBI’s app store is in fact the “top mobile app store in China” – or in the top 10, for that matter. If in fact the they were the #1 mobile app store in China, it would only prove the obvious – that they are doing a very bad job of monetizing it! If they were what they say, their revenues would be ramping sharply through the roof right now, while the cheap feature phone market is at its peak. Instead, revenues were flat to lower last quarter, and will apparently not materially improve this quarter. Meanwhile, it's their expenses that are ramping sharply higher as they add headcount to service their patchwork “payments network”. In light of these obvious facts, Piper’s justification for raising its target is to …. (drum roll) … increase the multiple?!? Talk about "nothing new"…! Not on Wall Street. Piper says there is "nothing new" … A statement we agree with. It is the same company that couldn’t make payroll just eight months ago until its IPO got done at $8, and traded thereafter at $6 per share. Its not generating new revenue or profits either. Its competitive position with regard to the China mobile handset market isn't new since then. We challenge anyone to argue that the future penetration of feature phones is going to be greater than that of smart phones in China. Citron has great respect for Gene Munster. We are surprised and disappointed that this piece of sloppy research would go out with his name under it. 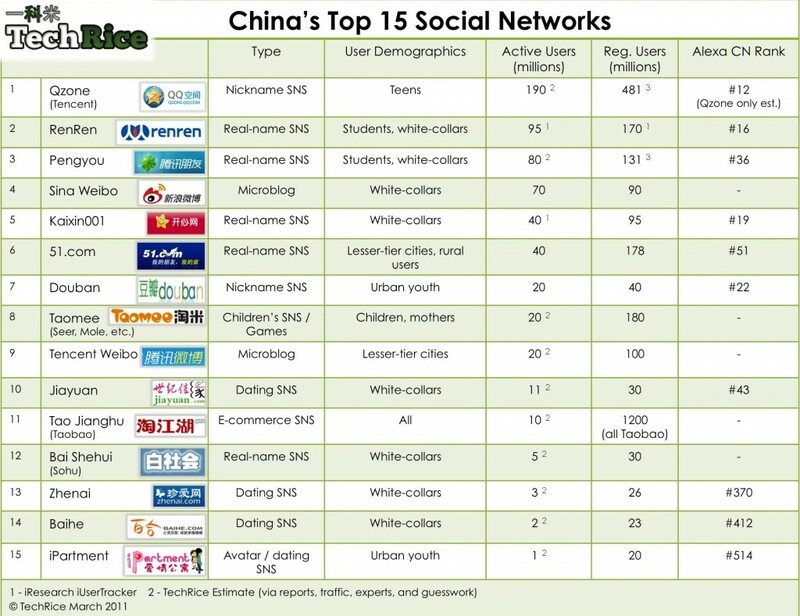 MOBI states that their market is composed of “young, uneducated and poor” Chinese youth. The CFO got excited describing his market buying "virtual homes and virtual furniture". Wake up people! Their market can’t buy real furniture, but they’re going to spend increasing millions in MOBI’s virtual fantasy world? The CFO also commented people don’t like to pay for game apps on Android – they like the free ones – but still claims they’ll be paying up for games on Maopao – real soon now! It is obviously the platform that developers are clamoring to make their hot new games for — a large, worldwide market, not a niche market held captive between China wireless operators and certain handset manufacturers. Look at their R&D spend last quarter and the last year. Citron sticks to its opinion that MOBI addresses a low-spending niche market in China, with a rapidly obsolescing technology platform which has already seen its best days, and reiterates its generous $3 target. Citron asks Piper – what is the expression for “buggy whip” in Chinese? Cautious investing to all….. and be particularly skeptical of pied pipers! Citron Reports on Sky-Mobi Limited (NASDAQ:MOBI) With a Price Target of $3….read to understand. Sky-Mobi sells games and other applications for low-end “feature phones” (i.e NON-smart-phones) in China. Their non-game products include chat applications for several social network websites. The company currently has no position in the smart phone or high-end cell phone business. The company operates an application store, but so does every major cell phone manufacturer. Nokia and Android-based phones are garnering major market shares in the high-end and smart-phone markets, where MOBI does not compete… and leaves it facing irrelevance. Within the next couple of years, a new and cheaper generation of larger screen touch-screen Android-based smart-phones will sweep into the China cell marketplace, delivering this functionality. MOBI is just another wannabe in this market. There is no investment thesis in MOBI gaining a foothold in this new market against many better-capitalized competitors from its current business model. The first sign of trouble with MOBI was evident as its IPO date approached. In the same week that YOKU and DANG represented some of the hottest IPOS of 2010, the Sky-Mobi IPO was a total dud. First, the IPO, which attempted to raise $150 million had to settle for $58 million (gross) due to lack of demand , but even so, pricing had to be set at the low end. Then it broke syndicate, finishing down 25% on its first day of trading, contending for the record of the worst IPO first day performance of 2010. Then, it fell a further 20% in the following days (during the extremely strong December 2010 rally). There was just no demand for this stock, and it bottomed around $5 a share. The problems at MOBI were evident as stated in this article from a China Tech Journal, which stated that MOBI better go public now and raise money because their business was about to be made obsolete. Conclusion: Some companies go public to thrive, but Sky-Mobi went public to survive. This was just five months ago….has anything really changed? In MOBI's most recent fiscal quarter, ending March 2011, it claims its registered members roll has grown from 12.5m to 58.6m — a stunning increasing of 368.8% year over year. Is it too good to be true? Sorry, it is. The problem with its “registered members” is that the number of inactive members is growing even faster. MOBI’s filings don’t compute the number of inactive members, but it does count “active members”, using a very weak definition. To be counted as “active”, a member has to visit their app store just two times during the same month – and ONLY FOR ONE MONTH in a three month reporting period. Nevertheless, while their active user count grew 10.64% q over q, their “inactive” (or staled out) members grew 35.2%, to a whopping 47.6 million. Yes folks, the little number they don’t disclose is that 83% of their “registered members” are inactive, even by their own weak definition of “active membership”. This demonstrates that “membership doesn’t have its rewards” when it comes to MOBI. The notion that members somehow comprise a nascent pool of monetizable online community is an intentionally created mis-perception. In English we call that a lie. Not to mention that cell phone sales in China grew 57% in 2010, mostly smart-phones. It is tough to believe that MOBI during that time could grow members 400% — exclusively from non-smart phone users. The disconnect between perception and reality is clearly outlined in MOBI’s reported numbers. For example, the company typically makes headlines out of huge percentage gains in non-monetizable (and notoriously unreliable) numbers such as numbers of downloads. But they don’t mention that average revenue per download has plunged – their reports not only fail to mention it, they don’t even calculate it! Shhh! Lets not mention this. The company has become a financial disaster since IPO — and it wasn’t so great beforehand. The most charitable way to spin these changes is that the company is already experiencing “the law of large numbers”, in a sector subject to brutal competition, short-lived fads, and a roar of competitive “noise”. Its most profitable days were when it was operating on a shoestring with very limited capital, with a couple of hot game titles. More likely, it was a very poor candidate for IPO, and is now relegated to a small niche in the cell phone add-on space which has already seen its best days. Even after doubling headcount over the last year, they have been unable to ramp revenues; while they face plateau'd revenues, they're absorbing declining margins on every front. MOBI sports an enterprise value more than twice that of KONG, but KONG shows it is a better value by every metric of revenue and profit, both for the most recent quarter and year. In fact, KONG is valued at 1.14 times its 2010 revenue while MOBI is valued at 7.7 times its 2010 revenue – over 6 times higher! EVEN though Kong is a better business, (it sells some iPhone games) if we were generous to MOBI and gave it the same valuation as KONG at 1x revenue, the stock price would be $3 – Hence our target. Risks all over the business …read for yourself. Citron knows what normal risk factors look like. Most companies state the boiler plate language that we see over and over. But not MOBI — at least they were honest about the risks. If you read the prospectus you see a company that is being attacked on all sides of their business model. If this it wasn’t onerous enough, MOBI is in the shadow of the PRC government regulators too. To create an alternative to being dependent on billers to collect user fees, MOBI created its own form of payment, called “K-Currency”. The company reports just one more time – next week – before expiration of MOBI’s (six month) stock lockup looming just next month. Citron believes that this company is doomed and will eventually trade below whatever cash they might have left. This is a terminal business model. How does one say buggy whip in Chinese? https://citronresearch.com/wp-content/uploads/2018/11/Citron-Research-Logo450x65.png 0 0 Citron Research https://citronresearch.com/wp-content/uploads/2018/11/Citron-Research-Logo450x65.png Citron Research2011-05-03 05:32:552018-11-17 21:37:30Citron comments on MOBI call and Piper note -- and reiterates Price Target of $3.